Congratulations! It’s Your First Day of Google Jamboard! The Google Jamboard mobile app is a game-changing tool for collaboration on Play Store enabled Chromebooks and iPads. Additionally, there is now a streamlined Google Jamboard web app (2:43 explainer video). Please note: The Google Jamboard app is 100% FREE. No Jamboard device required. Ever since I discovered the Jamboard app in June 2017, I have wanted to see it used in classrooms as a collaboration tool. I am excited to share that Google for Education has created a First Day of Google Jamboard resource in their Google Teacher Center to help teachers get started. Additionally, I am honored that five of my videos are part of this resource. 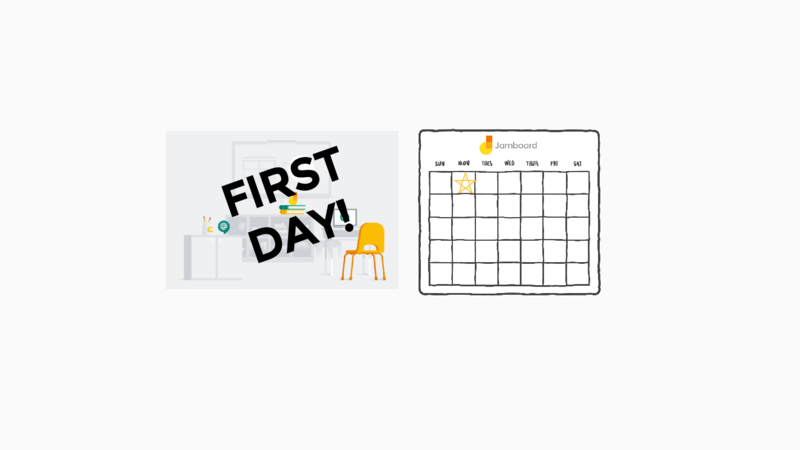 Check out First Day of Jamboard to get started using this awesome app. Share your thoughts and questions in the comments below or with me on Twitter, @TomEMullaney.